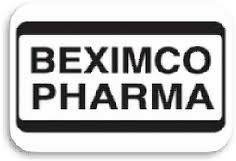 Beximco Pharmaceuticals manufactures a range of dosage forms including tablets, capsules, dry syrup, powder, cream, ointment, suppositories, large volume intravenous fluids, metered dose inhalers etc. in several world-class manufacturing plants, ensuring high quality standards complying with the World Health Organization (WHO) approved current Good Manufacturing Practices (cGMP).My training program was from 18th July to 2nd August,2010. During this period I have visited & worked in every section under the direct supervision of related officers. ulation, the granules are compressed to form tablets of specific weight, hardness and thickness. Compression unit consists of six compression rooms. Germany 37ºC temperature to support optimal bacterial growth. Activities of QA department in infusion unit are given below with a flowchart.